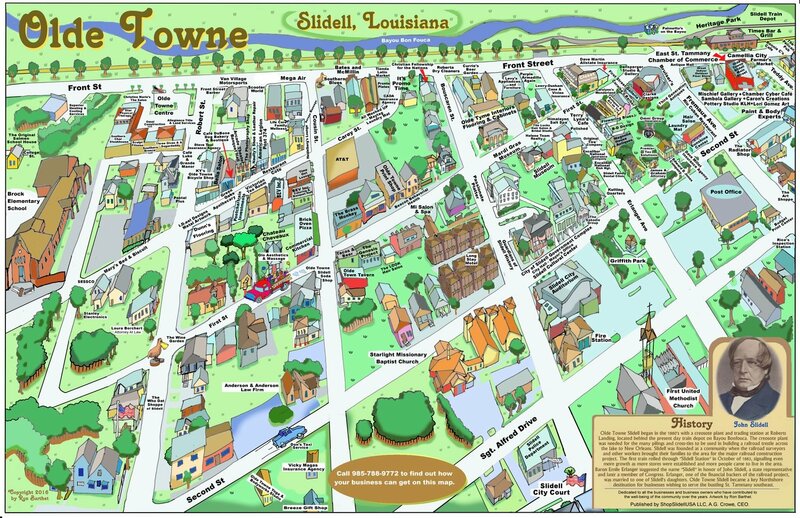 This is our most popular rendering as it portrays a comprehensive view of most all of the businesses in Olde Towne as well as the historic venues, government offices, streets and neighborhoods, churches and schools. This 24" X 36" size print comes mounted on a back board and ready for framing. Quantity discounts are available for the 11" X 17" size prints by calling 985.788.9772.